Coastal panoramas, rare ecosystems, volcanoes to climb—Costa Rica is all of this, and more. For access to all the country has to offer, visit during the dry season that runs from December through April—winter is the most popular time, with great weather and sizable crowds. The rainy (or"green") season is great for travelers heading to the perennially sunny Caribbean Coast—or to Monteverde, which will likely be wet no matter when you visit. 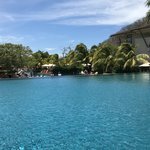 When should you visit Costa Rica? Costa Rica’s geography ranges from rainforest-lined beaches to mid-elevation inland towns to mountains, and each come with their own day-to-day weather trends and temperatures. This regional weather variation isn't limited to elevation implications—it's also due to being flanked by both the Pacific Ocean and the Caribbean Sea. All that aside, the rainy and dry seasons are generally consistent throughout the country: winters are dry and summers are rainy. For this exact reason, the most popular time to visit is in the winter. A few considerations should be noted: first, Costa Rica's 12-hour days provide ample opportunity for sun to shine through even when it's rainy. And, second, even the heat is tropical so high temperatures, heavy humidity, and intermittent cloudbursts are to be expected at any time of the year. There are nearly endless outdoor activities to keep one busy when traveling to Costa Rica, but here are just a few examples of popular haunts that might be best saved for the sunny season. 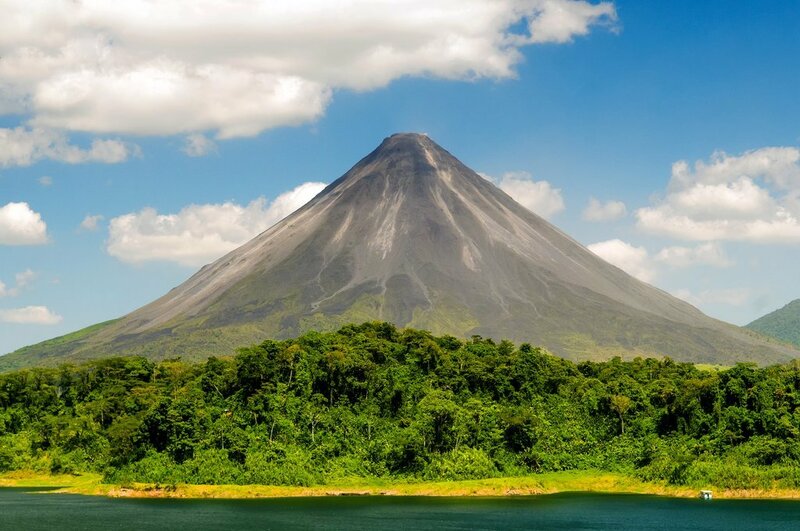 Arenal hosts the vibrant blue-green La Fortuna Waterfall. It’s best to visit this beautiful spot in winter because the wet season’s persistent rains can muddle the clearness of this natural feature, detracting from what makes it such a popular destination. Read more about the park in our Ultimate Guide. Located in the Central Valley, hosts the largest active crater in the world. Working up a sweat on its many hiking trails might not pay off in the rainy season, as its breathtaking crater view is often obstructed by thick fog at that time. San José is the biggest and most active city in the country. While its skyline isn't contoured with dozens of skyscrapers, it does play host to plenty of public parks, museums, churches, and an active nightlife scene. We all know that city sightseeing is simply more pleasant when the sun is shining. Here's more on exploring San José. There are several to choose from, so take your pick! 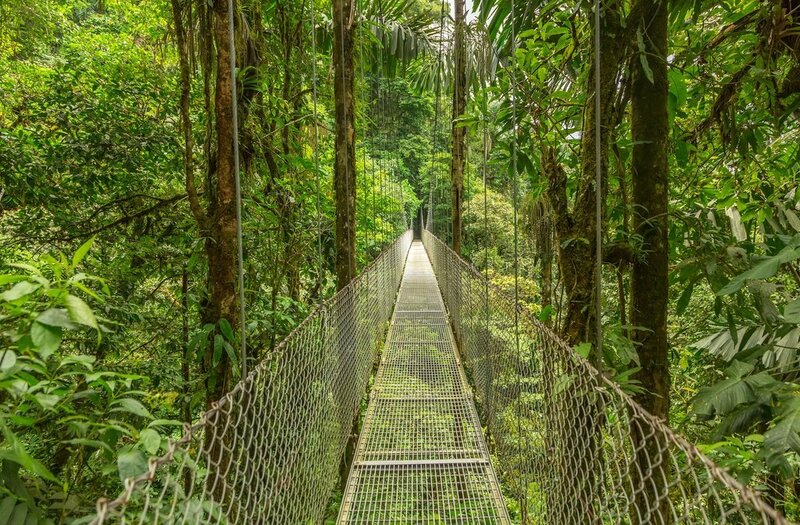 Cloud forests tend to be rather damp, drippy places with a higher chance of rain anyway, so travelers should expect to experience hints of rain no matter the season. Read more in our Ultimate Guide. Puerto Viejo de Talamanca is a quiet beach town along the Caribbean coast, where you’ll find locals living with Afro-Caribbean culture. This is a good place to enjoy nightlife with a reggae or dancehall vibe. Puerto Viejo is one of the few Costa Rican destinations that typically remains sunny and dry during the rainy season. The rain may ruin beach conditions for humans, but it won't stop the turtles, and the rainy season, from mid-July to mid-October is the best time to see mother turtles lay their eggs. Consider visiting Parque Nacional Tortuguero, on the northern Caribbean coast. Leatherback and green sea turtles also lay their eggs here at night. Or visit the famous turtle sanctuary located in Guanacaste Province, just outside of the coastal hotspot Nosara. It's called the Ostional Wildlife Refuge, and it was established in 1983 to protect nesting sea turtles from poachers. The reserve's nine miles of beach is one of the few areas in the world where a dramatic natural event called an arribada ("arrival") occurs. From July to December (and most frequently in September-November), thousands of female olive ridley turtles crawl up on the beach to lay their eggs. They typically do this the night before the new moon, when the sky is darkest. Hacienda Pozo Azul, a 2,000-acre ranch just a couple of hours from San José, offers white water rafting and other adventures like horseback riding and canopy tours. Thrill-seekers might prefer to visit this area in the wet season, when the water levels are much higher, leading to a more exciting rafting ride. Read more about the perks, activities, and things to consider when visiting Costa Rica in the green season. It shouldn’t come as a surprise that greater bargains for flights, hotels, and activities can be found during Costa Rica’s wet months. While the lowest costs fall smack dab in the middle of rainy season, travelers may still wish to arrange their itineraries in one of the sweet spots: when the country is in transition between seasons—late Fall (November) and Spring (April and May)—because those windows tend to provide the best chances of catching rain-quenched greenery, but with a lower chance of having to alter plans due to weather restrictions. Those willing to remain flexible and positive in their travels, knowing that trekking through rainfall means enjoying an authentic experience, will score the best pricing deals available. We’d be remiss if we didn’t address a few of the most-asked questions about traveling to Costa Rica: How bad are the bugs? And how bad is the heat? As with most responses, the answer to these questions takes into account the season. Mosquito bites and mosquito-borne illnesses are a valid concern, but the usual precautions are usually enough to fend off the pesky critters. Bringing bug repellent, wearing long pants and/or tall socks while hiking, and lodging in a place that has screens in the windows are all helpful tricks. Mosquitos are more prominent in the rainy months, so if you have major concerns, stick to visiting in the dry season. As for the heat, remember you’re only about 10 degrees from the equator. So, if you’re traveling from a more temperate climate, the intensity of heat and the likeliness of sunburn are greater than what you’re used to. As with all travel, remaining diligent about hydrating and frequently reapplying sunblock make for a more enjoyable experience. 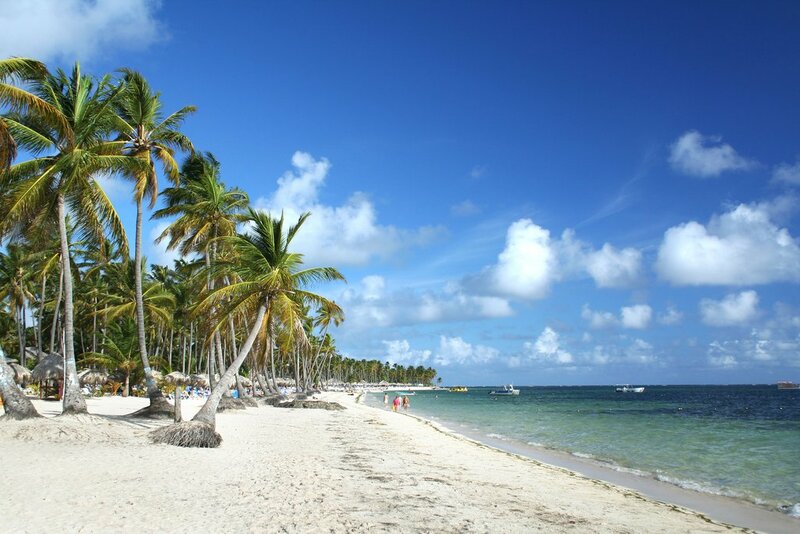 Looking for ideas for your trip? If you are looking for some ideas or example itineraries, we have some great suggestions for you whether you are traveling for 7 days, 10 days or 2 weeks. Amazing trip ! Everything was perfect!